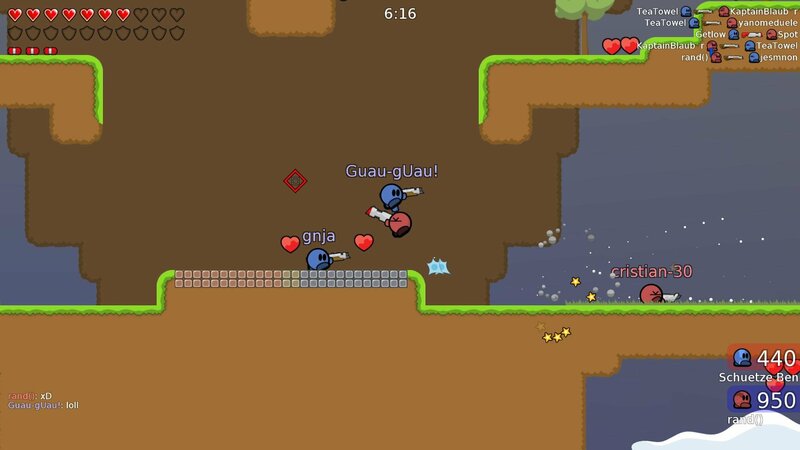 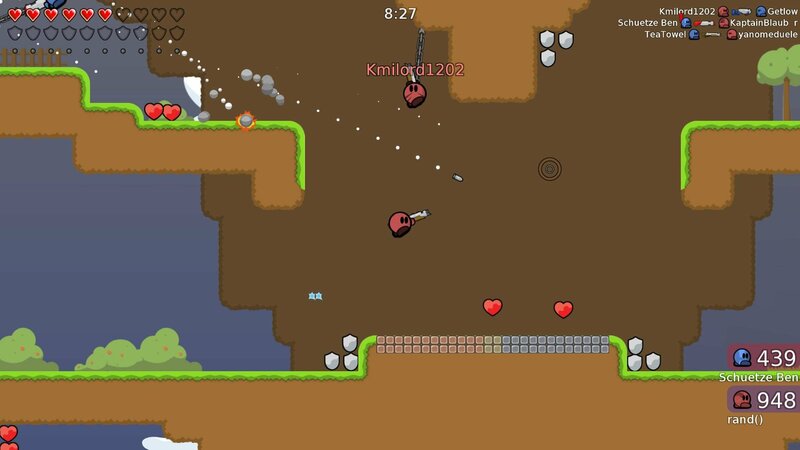 Teeworlds is a free retro themed multiplayer shooter. 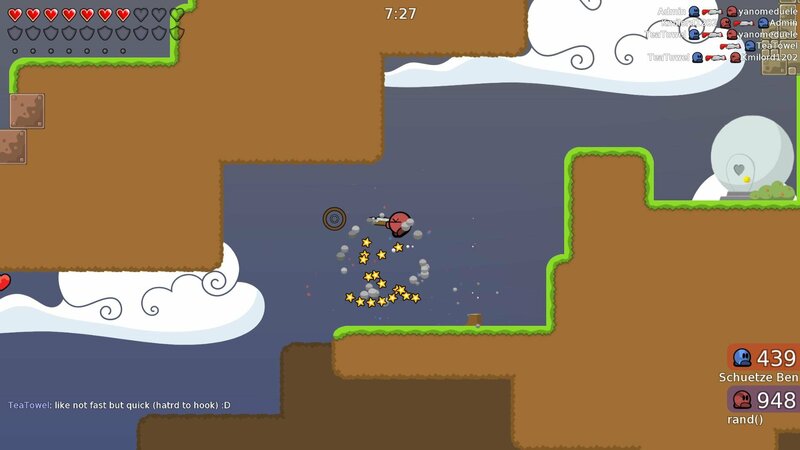 Teeworlds is available for Windows, Linux and Mac OS X. 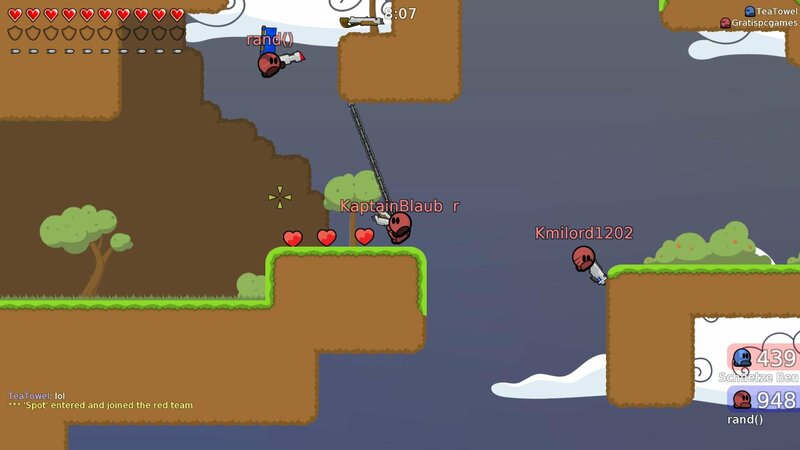 The game can be played with 16 people at the same time. 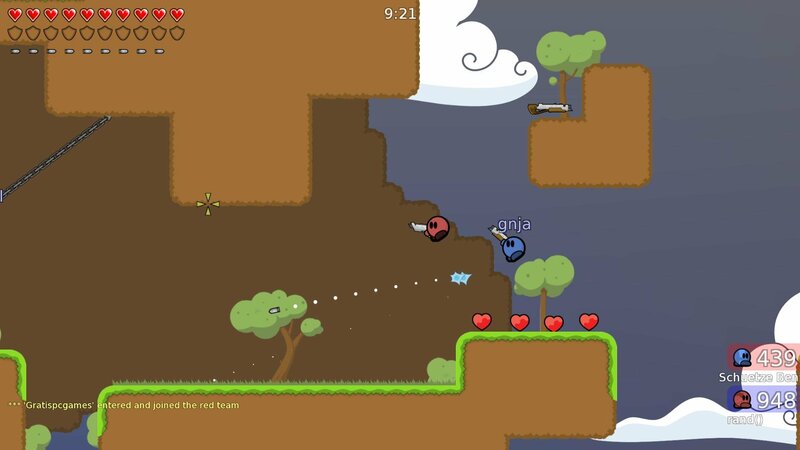 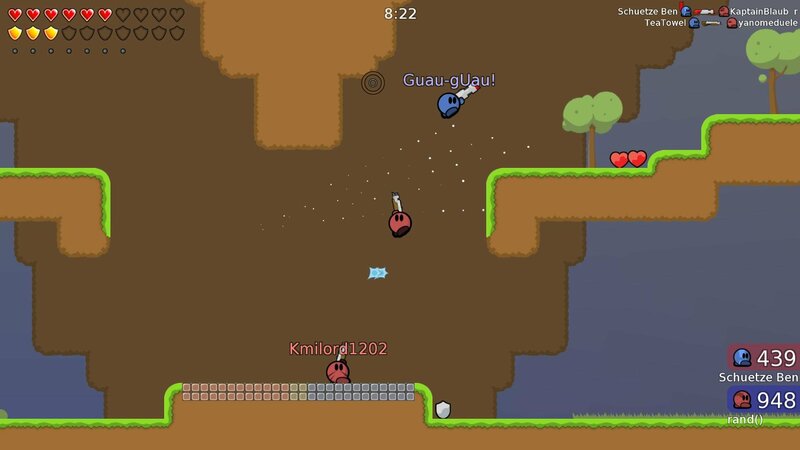 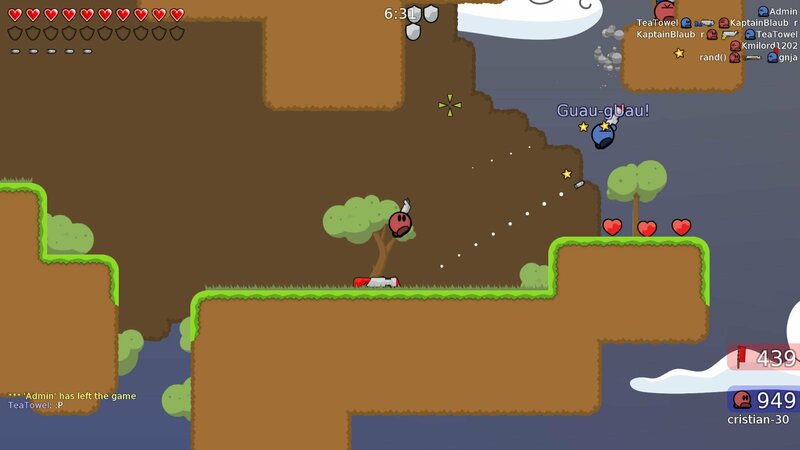 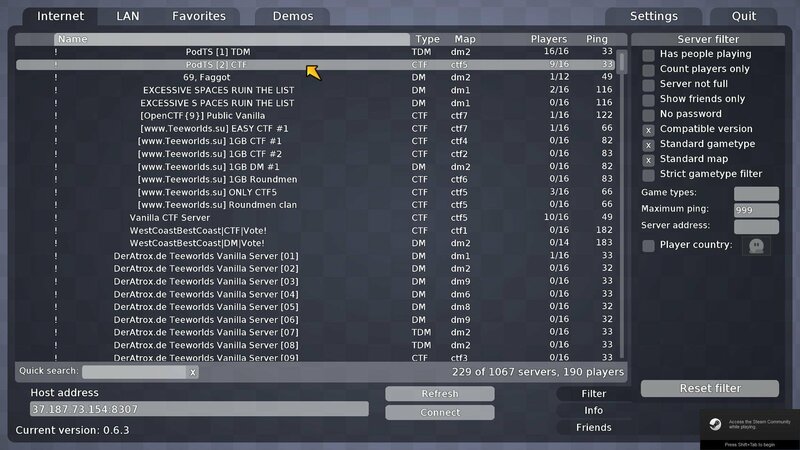 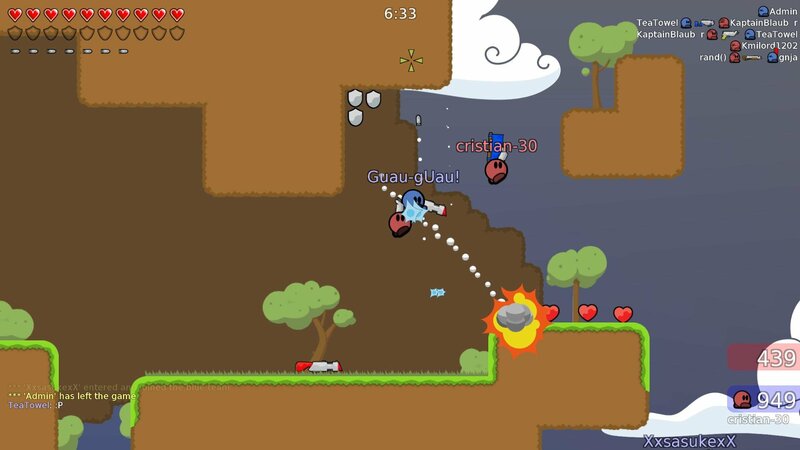 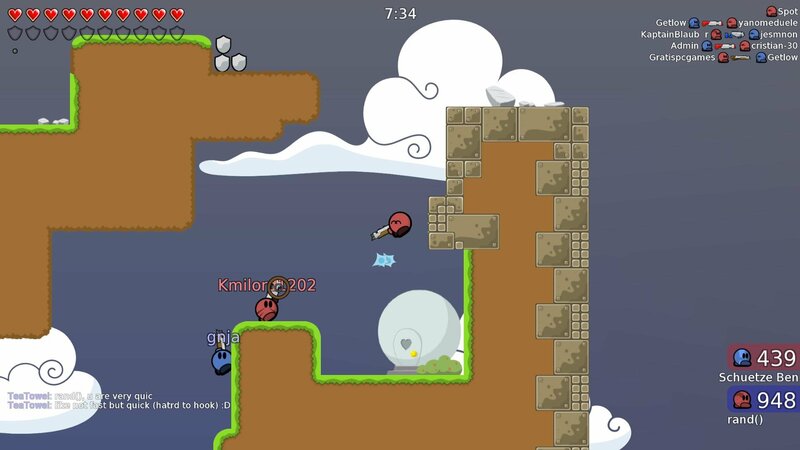 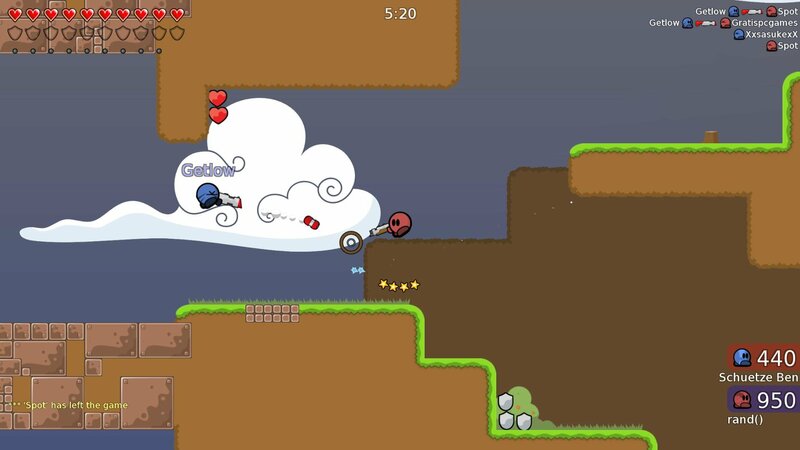 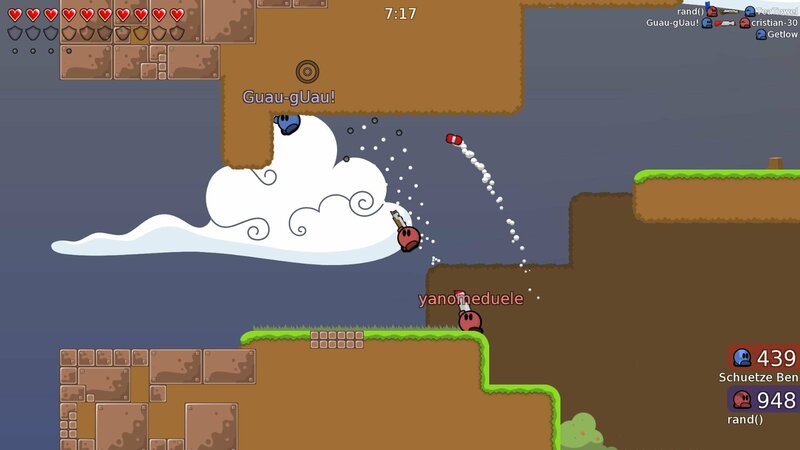 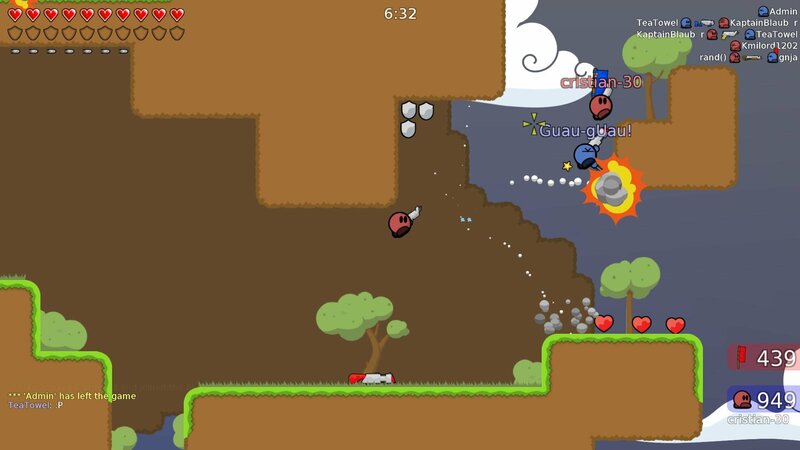 Teeworlds has multiple different game modes like deathmatch and capture the flag. 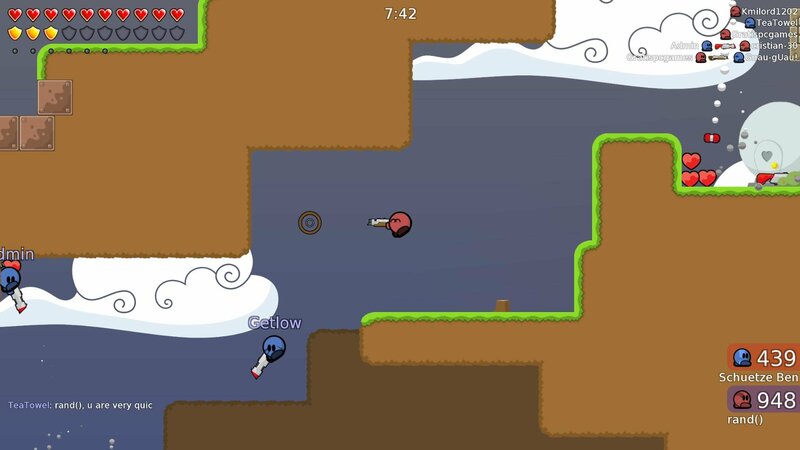 Teeworlds can be downloaded on Teeworlds homepage and via Steam.